Plus more chocolatey goodness from their Winter Menu! (SPOT.ph) Milkshakes may be a universal favorite but with the current chilly weather, it can be difficult to enjoy the cold treat. 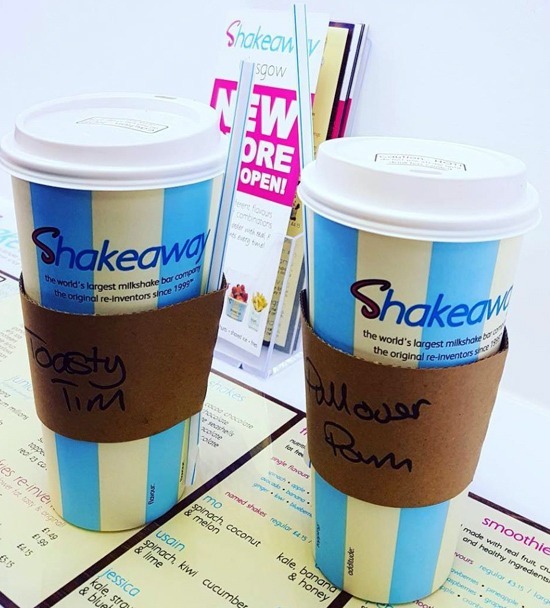 Don’t worry; Shakeaway gets your dilemma. The British milkshake franchise just released a special Winter Menu that you can also enjoy warm—just like hot chocolate! 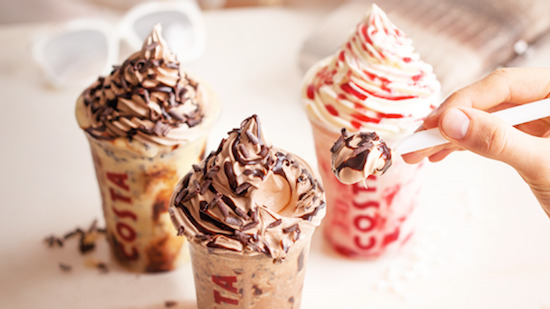 Their line of Winter milkshakes are full of your favorite chocolate and candy and can be slurped cold and enjoyed warm for an instant comfort drink. The Warming Will (P250/regular, P310/large) will instantly bring you back to your childhood with just one sip of the Ovalteenies and Koko Crunch blended drink that is finished off with a chocolate wafer stick. Fans of Nutella should get the Pullover Pam (P250/regular, P310/large), made with the hazelnut spread plus peanut butter and mini marshmallows. The result is a decadent drink that can be had warm or cold. There are six new Named Milkshakes in the menu to choose from, and you can have them only until March 15. 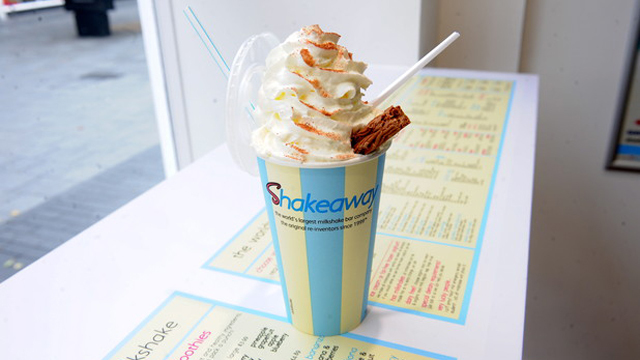 Shakeaway is at G/F Phase 2, UP Town Center, Katipunan Avenue, Quezon City. For more information, log on to Shakeaway Philippines' Facebook page.